The discovery may require astronomers to rethink their theories of how the Universe became what it is today. 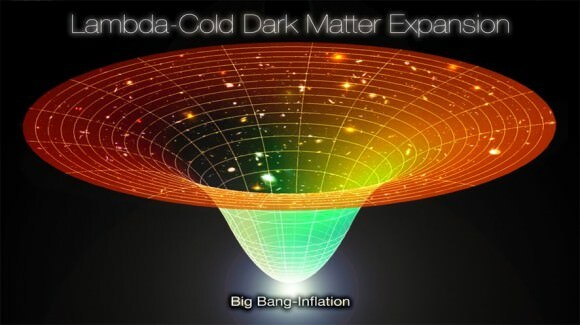 Diagram of the Lambda-CDM model, which shows cosmic evolution from the Big Bang/Inflation Era and the subsequent expansion of the universe. Image Source: Alex Mittelmann.